How much is Marcia Clark Worth? 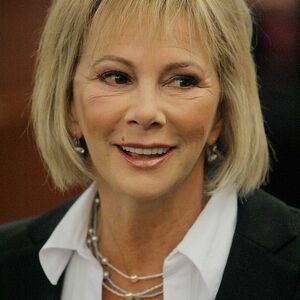 Marcia Clark net worth: Marcia Clark is an American prosecutor, author, and television personality who has a net worth of $4 million. Marcia Clark was born in Berkeley, California in August 1953. Clark became well known for being the head prosecutor in the O.J. Simpson murder case. Marcia graduated from UCLA and earned her J.D. at Southwestern University School of Law. Before the O.J. Simpson case she was best known for being involved in the prosecution of Robert John Bardo for the murder of TV star Rebecca Schaeffer. After Simpson's acquittal in 1995 Clark took leave from her job and officially resigned in 1997. She authored the book Without Doubt with Teresa Carpenter for a deal worth a reported $4.2 million. Since then she has authored four additional books. She also writes a column for The Daily Beast and has appeared as a special correspondent for the TV series Entertainment Tonight. She also provided commentary for the George Zimmerman murder trial in 2013 for CNN.